Note: Major Fukushima-related information is periodically covered in NIRS’ blog GreenWorld, at www.nirs.org. 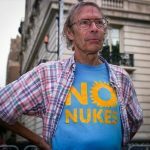 In addition, SimplyInfo.org is the best site for regularly updated information on the Fukushima aftermath and continuing technical and safety issues. This Fukushima crisis page will focus on studies, reports and other in-depth information. Lessons from Fukushima. New report from Greenpeace International prepared for the first anniversary of Fukushima disaster. Meanwhile, Tepco says it has achieved “stable cooling” of all of the reactors at the site. This might sound like good news until it is realized that Tepco does not mean the reactors are at cold shutdown. In fact, all 3 reactors with fuel in them remain above the boiling point of 100 degrees Centigrade, meaning that water continues to boil off and radiation continues to be released. Cold shutdown—bringing the temperatures below 100 degrees—is still not expected before What Tepco really means is that it has more or less successfully set up a system for water to be recirculated through the reactors, so that constant water from outside is no longer needed. However, the recirculation system has been plagued with problems from the beginning and continues to not work at desired capacity. UPDATE, On November 30, Tepco released a document that acknowledged, for the first time, that fuel in Unit 1 of Fukushima Daiichi had likely melted through the reactor vessel onto the concrete basemat below.